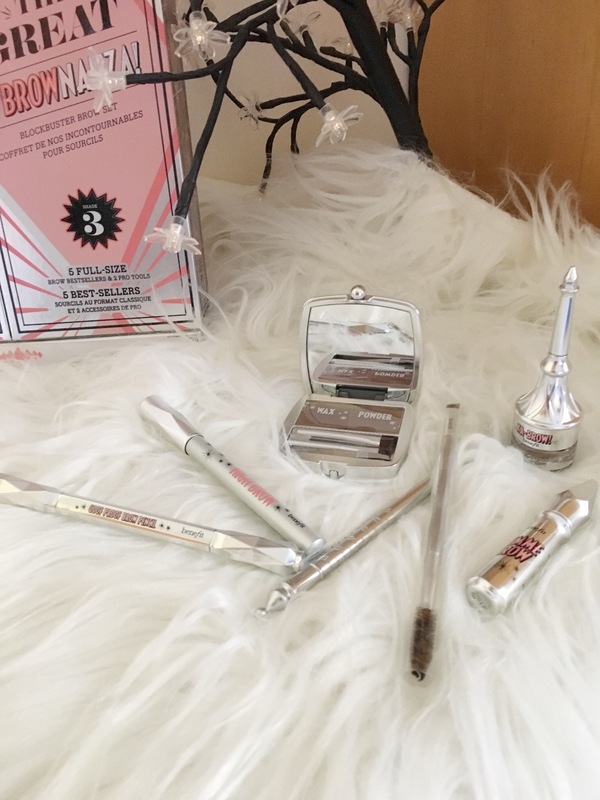 Benefit have released a lot of products across the year but they’re famously popular for their incredible brow range. I’m a huge fan of the goof proof brow pencil but since the products are expensive I’ve never managed to purchase them and test out whether they’re genuinely worth buying. So, recently on a trip to my local Debenhams, I come across some of the Christmas releases that let’s be fair, look incredible. However, the one that really caught my eye is The Great Brownanza. This is a box of 5 full size brow products and 2 brow tools for £49.50. To buy these products out of the set it would cost around £120 so you’re saving an absolute fortune of £70! This is the ideal gift in my eyes. It has enough brow products to last you at least 6 months and as well allows you to try and test products that have caught your eye but you’ve been anxious about buying them because of the price range. What do you get? 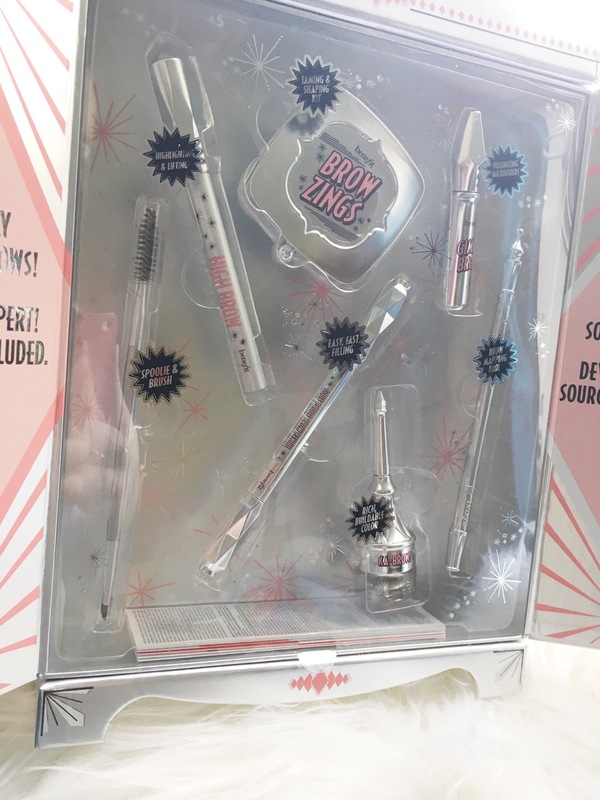 In this set you’re given 5 full size products which are the Benefit Gimme Brow, Benefit Brow Zings, Benefit Goof Proof Pencil, Benefit Ka-Brow and the Benefit High Brow Pencil. You’re also given an angled brow brush with a spoolie attached and a brow mapping tool. Essentially, you receive 7 products at an incredible price so can you really not consider this as a purchase? We all know by now that Benefit have 5 shade ranges in their brow products. Going from 1 to 5, from light to dark. Now, I purchased mine in shade 3 and usually I mix between shade 3 and 4 but now I’m blonde again I’ll happily use shade 3 so this is perfect for me. You can also buy this set in shade 5 but it does not come in any other shade ranges. This is definitely the only fault with the set that it doesn’t come in the lighter shade which means for those who are light blondes with blonde eyebrows, this isn’t catering for you guys. If you like a strong, dark brow then these are the ideal set for you really. The final BirchBox of 2016 has arrived and it definitely was worth it. I assumed since it’s Christmas soon that it would have some brilliant products and I wasn’t wrong at all. It’s brilliant, in mine I got 3 makeup products, 1 skin care and 1 hair care. Literally so good, I love sharing with you guys what I get each month and this months is brilliant. Definitely worth the purchase even if you only want it for this box. I follow BirchBox on instagram and each month they give 1 or 2 peaks at what we may have in our boxes so I already knew I would be getting the Ciate London Fierce Flicks Eyeliner. This is a full size product and is available to purchase for £15. It has a really beautiful super-black formula and feels so light. The tip of the liner is thin and detailed, leaving the most perfect and sharp flick. Really looked forward to this product and definitely can’t wait to test it out a bit more. Next I got the Laura Mercier Caviar Stick in Amethyst. This retails for £22 full sized and is a beautiful bronze colour. I swatched it on my hand and it is so creamy, the texture is softest I’ve ever felt. I think i’ll be trying this by drawing it across my lash line and smoke it out. Another item I was excited about was receiving a Benefit sample. 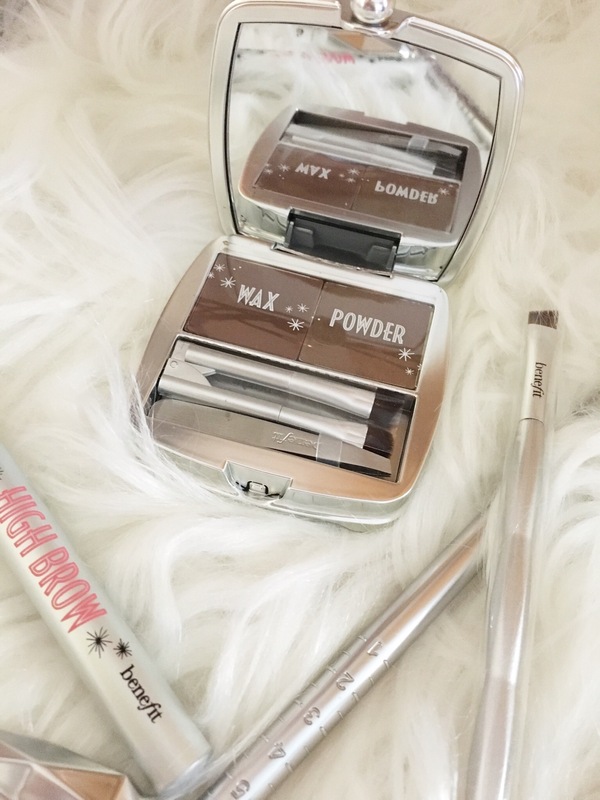 I already know I love Benefit products, they never fail and I especially love the Benefit Goof Proof Brow Pencil. So when I received the Porefessional: Matte Rescue I was so pleased. I’ve already tried the original Porefessional so I’m definitely looking forward to this one too. In full size it’s priced at £21.50. The skincare product I received was the Amie Skincare New Leaf Deep Pore Exfoliating Polish. This is actually the most affordable product I’ve ever received in my BirchBoxes, it’s £5.95 full sized and is a cleansing treatment which aims to lift away dirt and dead skin gently. I’m not as excited to try this as the others but definitely curious to whether it works as well as other treatment’s I have. My final product from the December BirchBox is the Percy and Reed Perfectly Perfecting Wonder Balm. This product aims to boost shine, soften and protect hair. I’ll be applying this to damp, towel dried hair from root to tip to create a beautiful texture and style. This retails for £18 full sized. There you have it! My final BirchBox unboxing for 2016. I hope you’ve enjoyed them as much as I have! They’re definitely worth the money and I cant wait to test my new samples out. Let me know what you got this month.